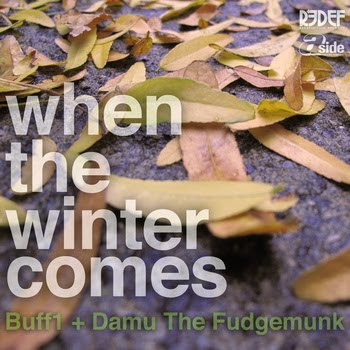 When the Winter Comes (2-track mix) is produced by Damu The Fudgemunk and will appear on the upcoming free digital release It’s a 1derful Life from Buff1, available December 2nd. Damu The Fudgemunk is releasing the instrumental version of his group Y Society's debut LP, Travel At Your Own Pace, in late November on Redefinition Records (CD/Vinyl) & Tres Records (Digital). Download: Damu The Fudgemunk feat. Buff1 - "When The Winter Comes"